In order to encourage more women into Australia's cyber security workforce, the Australian Government hosted more than 80 women, including both current and aspiring cyber-security professionals, on International Women's Day 2017 at Cisco Live in Melbourne to help shape cyber policy and inform future government policy to further women in cyber security. 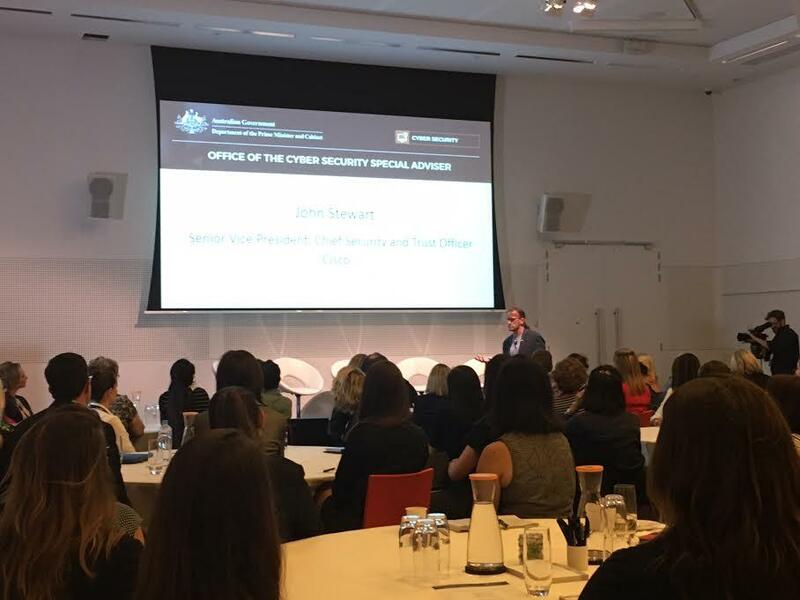 The Government's Cyber Security Strategy highlighted the benefits of diversity and tapping into a larger talent pool - and therefore engaging more women - to address Australia's cyber security skills shortage. The event was sponsored by Cisco the ACS and other organisations. 1. There were calls for a collective voice and onus on all individuals of every gender, background and skill level, within and outside of organisations, to help enable and empower women in cyber security. 2. Sandra Ragg, Assistant Secretary, Cyber Policy for The Department of the Prime Minister and Cabinet highlighted that women can be encouraged to choose cyber education options if those in the industry a) become a role model, and b) open the door for others to explore a career in the field. 3. Cisco’s Chief Security and Trust Officer, John Stewart, shared his personal story about female role models through the successes of his sisters and the key, significant contributions of women to our society that need a voice in cyber security. 4. 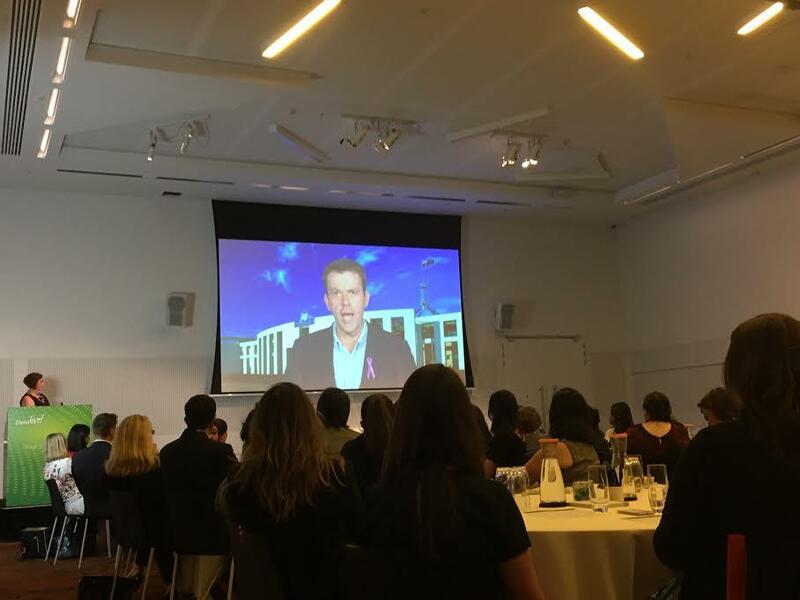 The Hon Dan Tehan, Minister Assisting the Minister for Cyber Security, highlighted the benefits of diversity to address Australia's cyber security skills shortage (set to reach 1.5 million by 2020) as it would increase the talent pool. 5. The cyber security industry needs to change how roles are being marketed to drive women in cyber said Cisco's CISO Steve Martino. 6. The diversity of skills required in cyber security provides a wealth of opportunity for young women to build their skills in key areas to fill the skills shortage. 7. One of the best ways to attract women into this field is to have role models in cyber security that they can look up to. Providing access to mentors at a young age will help to bring more women into cyber security roles and retain them. 8. Institutional education studies around cyber security need to be included as part of key business degrees as it’s critical to the success of local business, the economy and to recruit talent. 9. Around the tables there were women from HR, legal, finance, operations and technical roles. All agreed it's important that cyber security is more closely tied to business outcomes in order to better educate women of the benefits of a career in cyber security. 10. One table heard that business women were visiting girls' schools and being told by Head Mistresses, “Oh no, our girls wouldn’t be interested in that” when it came to learning core IT skills.